We’re facing a dangerous epidemic of epic proportions. Chronic disease is now a marker of the modern lifestyle. Heart disease, obesity, and other lifelong illnesses are taking a rising toll, but we don’t have to let them continue unchecked. Functional Medicine with an ancestral health perspective has the power to reverse chronic illness—or prevent it entirely. The health of your gut is directly connected to countless other systems throughout your body. An unhealthy gut can lead to a number of chronic health problems, including obesity, diabetes, depression, and many, many more. Why? It all comes down to the microbiome and gut integrity. Your gut houses a diverse microbiome of around 100 trillion microorganisms. A healthy gut flora offers benefits like normal digestive function, protection against infections, a healthy, stable metabolism, and a well-functioning immune system. If the health of that gut microbiome is compromised, however, chronic illnesses can result. And any number of things can disrupt the gut microbiome: common medications, stress, refined carbohydrates, and industrial seed oils can all hurt gut flora. Your gut also has a protective function. It’s meant to prevent foreign, potentially harmful substances from entering your bloodstream. If your gut integrity is compromised and foreign bodies make it into your bloodstream—as is the case with leaky gut—autoimmune diseases like type 1 diabetes and Hashimoto’s can result. How do we heal the gut and correct any dysbiosis? By adopting healthy, toxin-free diets that promote gut health and taking any steps necessary to treat intestinal pathogens, maximize digestive capacity, and live healthy, low-stress lives. Are you ready to restore a healthy flora and better your gut health? Find out more below. An unhealthy gut microbiome can lead to chronic disease. Find out more about the important role your gut plays in your health. Healing your gut may be the single most important thing you can do to improve your health. In this eBook, you’ll learn how to optimize your gut health with simple diet and lifestyle changes. The conventional approach to treating heartburn and gastroesophageal reflux disease, or GERD, involves one thing: drugs. Even though they may offer some temporary relief, acid-suppressing drugs like proton pump inhibitors (PPIs) aren’t a permanent solution—and they carry risks of their own. If you want real relief from your heartburn or GERD symptoms, you need to treat the underlying cause. In many cases that’s low stomach acid—no matter how counterintuitive that sounds. Find out more about the real cause of heartburn and GERD and get functional tips on how to get rid of the problem. In conventional medicine, the typical treatment for heartburn and GERD involves drugs that mask symptoms without solving the problem. Find out what really causes heartburn and GERD and get tips on treating the problem. Discover the little-known cause of heartburn and GERD (it’s not what your doctor is telling you), and find out how to get rid of it forever—in three simple steps. Twenty million Americans suffer from a thyroid disorder. The majority of them—an estimated 60 percent—aren’t even aware they have a problem. That could be because the symptoms of an unhealthy thyroid are wide ranging. Anything from dry skin, weight gain, and mental slowing to hair loss, a hoarse voice, or even infertility can be indicative of a thyroid disorder. Those who are undergoing conventional treatment often continue feeling those symptoms. That’s because drugs like replacement thyroid hormone or iodine don’t address autoimmunity, the most common root cause of a thyroid disorder. Low T3 syndrome is another common manifestation of a thyroid problem. People with low T3 syndrome might experience symptoms that line up with hypothyroidism, but in these cases, the issue lies with how the body regulates the thyroid metabolism, not with the thyroid gland itself. Whether you’re suffering from an autoimmune disorder like Hashimoto’s or you’re experiencing symptoms due to low T3, there are functional treatment options. Find out more. Millions of Americans are suffering from a thyroid disorder and, for many of them, conventional treatment options don’t solve the problem. 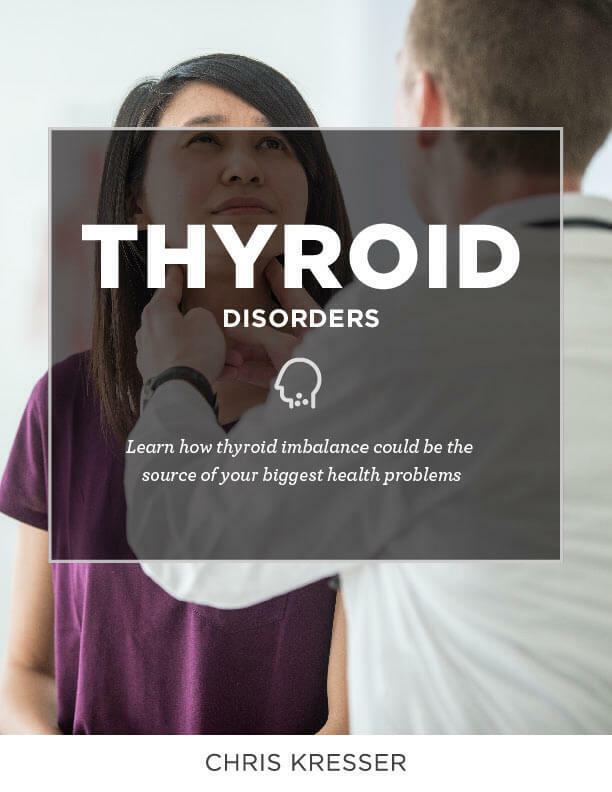 Find out what really causes thyroid disorders and how to treat the problem. An estimated 20 million Americans have thyroid disorders, but more than half don’t know it. Find out why thyroid problems are so often misdiagnosed, what really causes them, and how to heal them naturally. You know that the obesity epidemic has reached staggering heights—more than 93 million American adults qualify as obese. Obesity is closely tied to insulin resistance, metabolic issues, and type 2 diabetes. These chronic diseases are so closely related, in fact, that we can refer to them as one illness: diabesity. Diabesity and metabolic syndrome, which is characterized by abdominal obesity, insulin resistance, and inflammation, are entirely preventable, and, in many cases, reversible too. But undoing the systemic damage these conditions cause takes a different approach—one that involves not just diet and exercise, but improving gut health and intestinal integrity. If you’re experiencing metabolic problems and you’re struggling to lose weight and balance your blood sugar, read more on diabesity. More and more Americans are suffering from diabesity and metabolic syndrome. Find out how to use diet and lifestyle to prevent these illnesses or reverse the damage they cause. Are you struggling to lose weight—or keep it off? In this eBook, you’ll learn how to burn fat without trying, while eating delicious, nutrient-dense food. Heart disease is the leading cause of death in the United States. 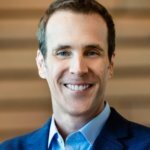 For the last 50 years, we’ve been told that, in order to maintain our heart health, we need to limit the amount of saturated fat and cholesterol in our diets. That conventional approach hasn’t done anything to slow the spread of cardiovascular disease, and no wonder—it’s wrong. Healthy dietary fats aren’t the enemy here, but the Standard American Diet, full of toxins like industrial seed oils and refined carbs, and our sedentary, stressful modern lifestyles could bear a large portion of the blame. Statins don’t have the same helpful effects for people without existing heart disease, and they carry serious side effects of their own. The good news is that you can prevent cardiovascular disease and improve your heart health with diet, exercise, and lifestyle changes. Here’s how. Conventional medicine gets a lot wrong when it comes to how to improve our heart health. Here’s how you can prevent heart disease through diet and lifestyle changes. Does eating cholesterol and saturated fat really cause heart disease? Are statin drugs as effective as we’re told? Find out what the research says in this eBook, and learn how to prevent heart disease naturally. Autoimmune disease is a case of mistaken identity: an overactive immune system attacks normal proteins as if they were harmful invaders. That leads to a constant state of high alert for the immune system and chronic inflammation. Eventually, that can cause chronic illnesses like inflammatory bowel disease, type 1 diabetes, multiple sclerosis, and Hashimoto’s. Few of our hunter–gatherer ancestors suffered from autoimmunity, but their lifestyles were markedly different from ours. They ate nutrient-dense, whole foods; got plenty of rest and sleep; and lived in clean environments free from the toxins we encounter day in and day out. If you’re suffering from an autoimmune condition, correcting that ancestral mismatch through diet and lifestyle changes can lessen your symptoms and better your health. Find out more about what causes autoimmunity and how to alleviate symptoms—or prevent it altogether. Autoimmune diseases are marked by common factors: an overactive immune system and widespread inflammation. Find out how diet and lifestyle changes can help to correct autoimmunity. Our bodies need specific micronutrients to function normally. A deficiency in any of them—like vitamin D, magnesium, folate, choline, or vitamin B12—can increase risk factors for a number of chronic diseases, including heart disease, depression, metabolic syndrome, and even cancer. The best way to get the micronutrients we need to live healthy lives is to focus on eating whole, nutrient-dense foods like organ meats, seafood, beef, full-fat dairy products, and fruits and vegetables. A diet of plant and animal foods is best, with selective supplementation if necessary. Want to learn how to get enough of the nutrients you need to thrive? Check out the resources below. We need specific micronutrients to stay healthy. Nutrient deficiencies can increase the risk of developing a chronic disease. Learn which nutrients you need and get tips on avoiding a deficiency.